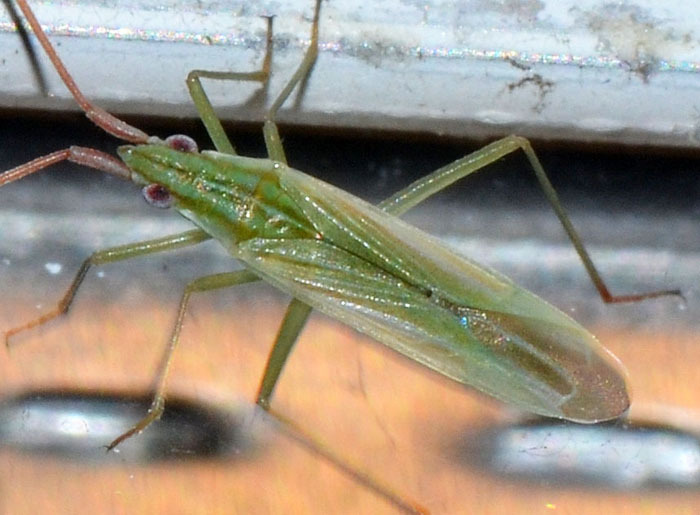 Trigonotylus caelestialium (Rice Leaf Bug). The Rice Leaf Bug (Trigonotylus caelestialium) has elongated, reddish stripes at the base of their antennae, which are typical of this species. It is frequently studied in the scientific literature, especially in investigations focussing on its pheromones.